Two volumes (29.5 cm), I (1974): (2) 147 (1). 223 catalogue entries. Publisher’s cloth, printed lettering-piece. II (1984): lxiii, 813 pp., five illustrations on inserted folded leaves. Errata slip loosely inserted. Publisher’s printed wrappers, plain grey cloth spine. 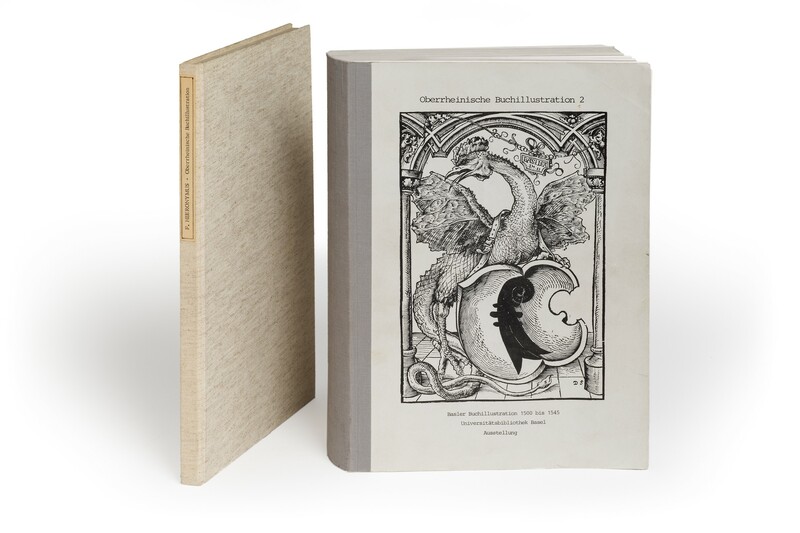 - A monumental survey of book illustration in Basel, with many new attributions, dates, and interpretations. Describes works by the Master DS (Daniel Schwegler? ), Urs Graf, Hans and Ambrosius Holbein, Konrad Schnitt, the Master GZ, Hans Franck, Franz Gerster, Hans Herbster, and others; also surveys anonymous works including single-leaf prints. 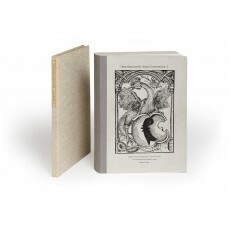 First edition of volume I (reprinted in 1983, as ISBN 9783859530133). ¶ Excellent, unmarked set, with minimal traces of use and no marks of ownership. (29 cm), 147 leaves (typescript). - First edition (reprinted in 1983, ISBN 3859530135, 9783859530133). ¶ Fine, unmarked copy. (30 cm), lxiii, 813 pp., five illustrations on folded leaves inserted, errata slip inserted. Publisher’s printed wrappers, plain grey cloth spine. ¶ Fine, unmarked copy.